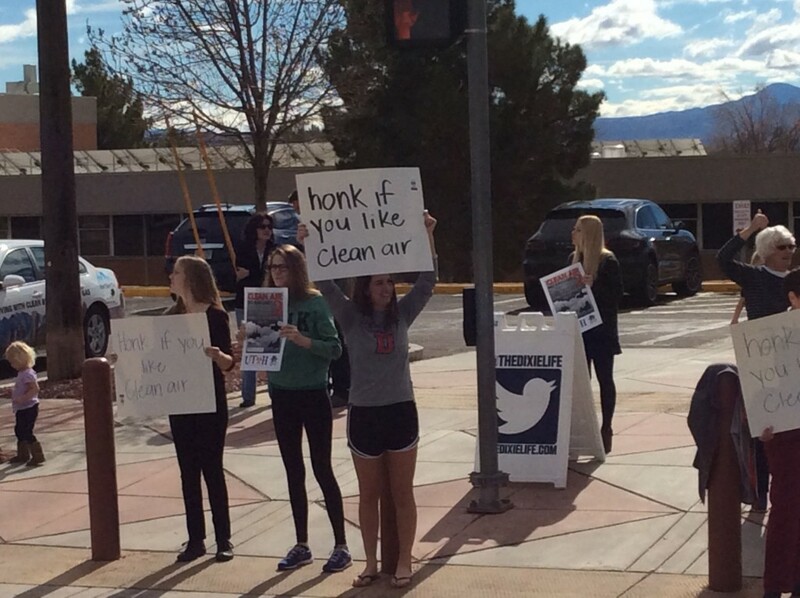 ST. GEORGE — Students and community members gave shoutouts to the community Saturday afternoon, advocating the cause of maintaining clean air in Utah at a rally that took place at the 900 E. 100 South crosswalk on the Dixie State University Campus. 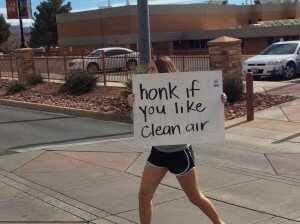 The “Clean Air No Excuses” rally, presented by the DSU Sustainability Club, began at noon and drew in about 30 participants who created clean air support signs and displayed them to people driving by. 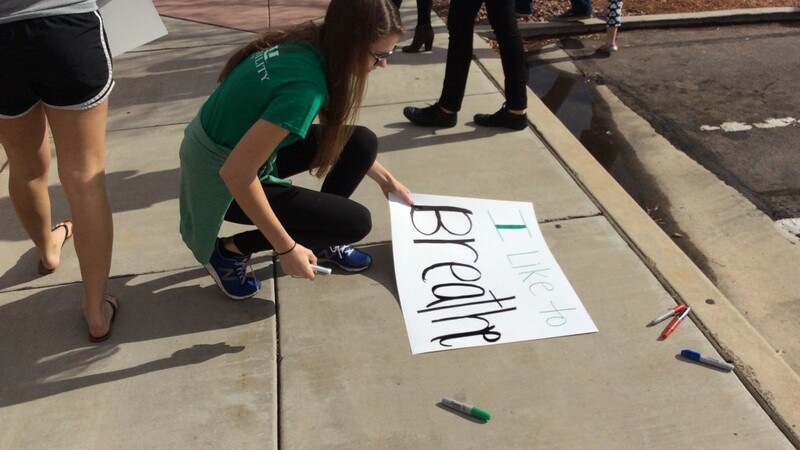 The rally was a sister event to one that drew approximately 5,000 people in Salt Lake City last year as an active way to discuss clean air, DSU Sustainability Club President Trevor Anderson said. 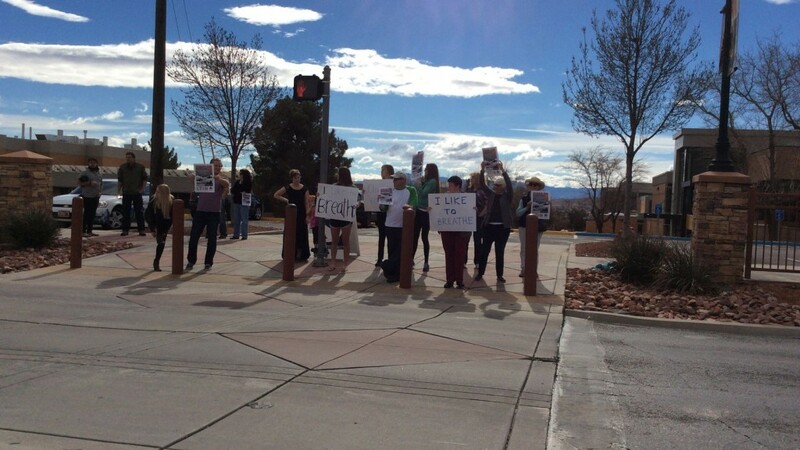 The St. George rally was one of three other rallies that took place Saturday in Salt lake City, Moab and Logan, Anderson said. 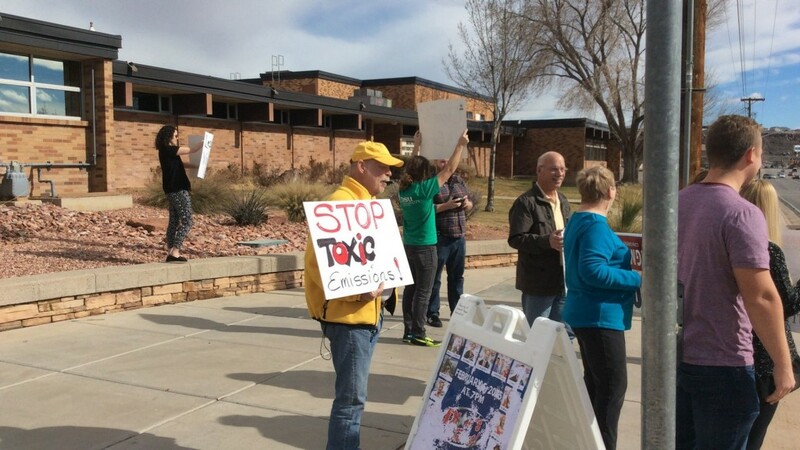 St. George does not have an air pollution problem like Salt Lake City with its inversion, he said, but with the continual population increase in St. George, the air can become more polluted. Aside from the rally, Anderson said, he also wants to help DSU become a community leader in the clean air effort by implementing a bike share program on campus. 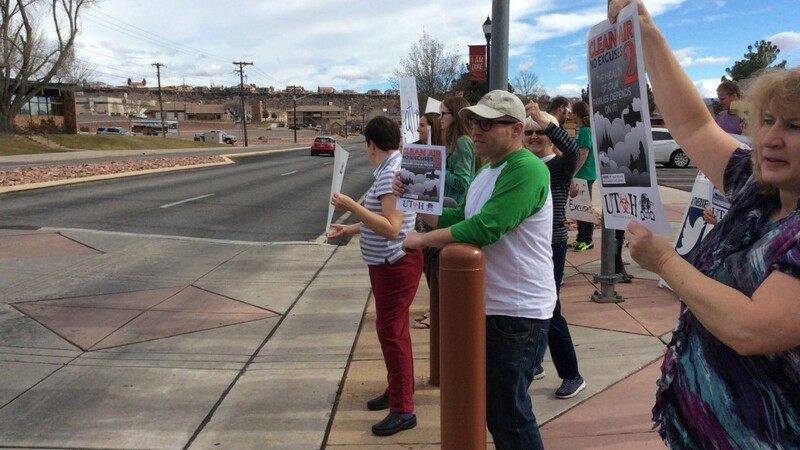 Dorothy Engelman, former Democratic Candidate for the Utah House of Representatives, also came to support the rally. 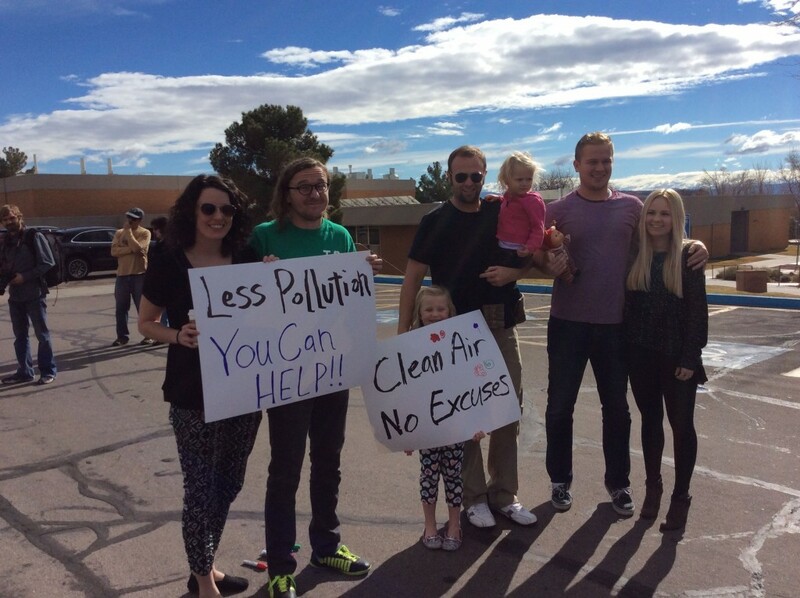 “I was one of those people that moved to Utah because of its beauty, and I think it’s very important that we are proactive to keep our air here in Southern Utah clear as well as the rest of the state,” Engelman said. 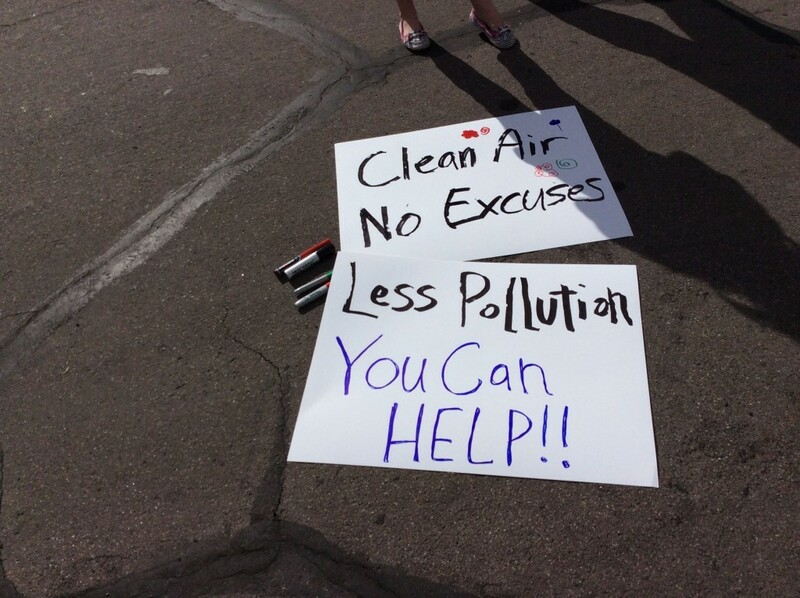 Although St. George does not have an inversion problem like Salt Lake City, she added, having air monitors in the city would help prevent pollution. During the rally, Engelman held a sign that said “Support SB87,” which is a proposed bill that would reinforce the Clean Air Act. The picture was so tiny on my device, I thought her sign said “honk if you like creamer”. But clean air is a much better cause. Nice job, kids.